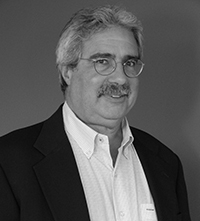 As Director of Research for Peerless Research Group, Judd Aschenbrand draws from more than 35 years of experience applying quantitative and qualitative market research techniques in both B2B and B2C markets. He has designed and managed projects across a spectrum of corporate, management and technical audiences in market segments ranging from information technology to supply chain to media. Judd began his career working on the supplier side conducting research programs for clients in consumer goods, financial services, advertising and communications, and media. After serving as Vice President of Research with International Data Group (IDG), Group Research Manager at Reed/Elsevier's Business Information division and operating as an independent marketing research consultant, Judd joined EH Publishing as Director of Research in early 2011. Judd has also served as chairperson for the American Business Press Research Committee. 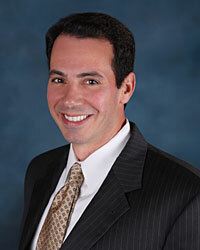 Brian is the founder of Peerless Media, and serves as President and Group Publisher. Brian has 22 years of experience in B2B publishing; 19 of which are in the logistics, supply chain and materials handling markets. His vision when launching Peerless was to create a “new world media company”, offering both the traditional print and online B2B products, while expanding into new markets such as lead-nurturing, research and online marketing consulting. Before founding Peerless Media, Brian was Group Publisher for Reed Business Information, leading each of his brands to the number #1 position in the market. Brian and his team introduced an array of innovative online products providing lead generation, branding and research, which helped lead the supply chain group to become one of the most consistently profitable groups in RBI. As the Director of Client Services for Peerless, Mary Ann Scannell is responsible for working closely with clients to ensure the crisp execution and overall success of the online sales and marketing programs. Two of Mary Ann’s primary functions with PRG include scheduling kick off calls with the client and internal team members and to move the completed briefs through the company’s successful lead generation process. Before joining Peerless in 2011, Mary Ann worked in high-tech publishing for 20 years including International Data Group where she served in a wide range of marketing and client services roles. Mary Ann has a Bachelor's Degree in Marketing from University of Massachusetts Boston. Cheryl Murphy has nearly 20 years of marketing experience creating and managing integrated, lead-generating marketing campaigns using direct mail, e-marketing, advertising and public relations. In her role as Webcast Research Specialist at Peerless Media, Cheryl works closely with clients to coordinate, produce and execute effective online marketing initiatives to support client-sponsored Webcasts. Prior to joining Peerless Media, she worked for Accela Communications as Marketing and Audience Development Manager where she managed and coordinated all aspects of client-driven e-media programs. Cheryl has a Bachelor's Degree in Marketing from Bentley College. As the Online Content Specialist for Peerless Media LLC, Ben Camiel has gained experience producing analytics for our online products as well as managing the publishing of editorial content and research briefs online over the Peerless websites and social media. His background is in Marketing and Technology with a Bachelor’s of Science in Marketing from The Rochester Institute of Technology Saunders College of Business. Charles Tanner has more than 20 years of experience in B2B audience marketing working for CMP Publications, Cahners, Reed Business Information and Peerless Media since the company was formed in May 2010. In total, Charles has managed the audience marketing efforts for the Peerless Media brands for over 12 years. In his position as Director of Audience Marketing, he develops and manages our targeted audience of 250,000 supply chain and materials handling professionals reached through print, email and our websites. He oversees all subscriber research study selections, retention programs, new subscriber acquisition, BPA audits and email programs for our business partners. A native of Long Island, NY, Charlie earned his Bachelor of Business Administration from Hofstra University in 1988.